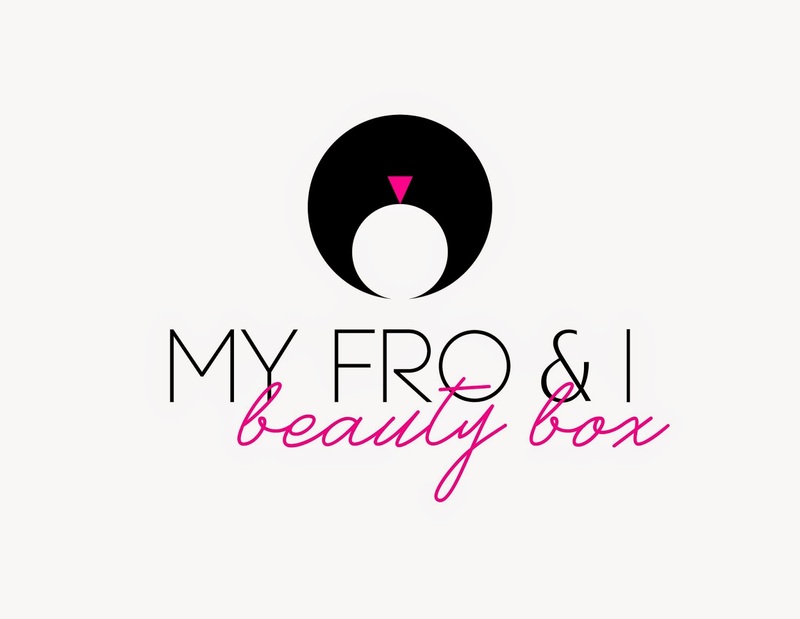 Welcome to my beauty box! Many of you over the years have asked me to share a bit more than just my stories with Fro. Although I’d laugh every time I was asked to do so, it’s actually something I’m very passionate about behind the scenes and I’m excited to be finally opening up my vanity table to you. So here I am, sharing my on going love affair with all things beauty – not just hair. I’m not a make-up artist, nor an expert, just a girl in love with pretty things and things that make me feel beautiful. And I thought it fitting to kick off this new addition to my blog with a few of my favourite things this month. Let’s start with my favourite lippie shall we? 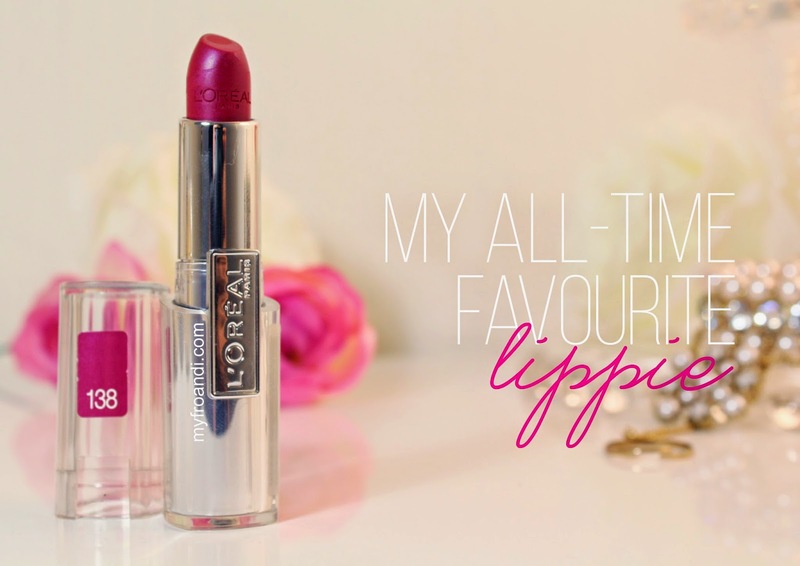 L’Oréal’s entire Infallible Le Rouge lipstick range is simply amazing. But their Forever Fuschia shade has my heart. I came across it for the first time over two years ago at one of their infamous sales and bought a couple of shades. I never used to be a lipstick girl, but this lippie changed the game for me. Forever Fuschia is bold, bright and makes me feel super feminine. It was love at first sight. The deep pink colour is so vibrant and the tone is perfect for a day or night look. My lips get very dry especially in Jozi so I prefer a moisturising lippie. Its texture is creamy so it glides on my lips easily and it gives a really nice subtle glossy look. 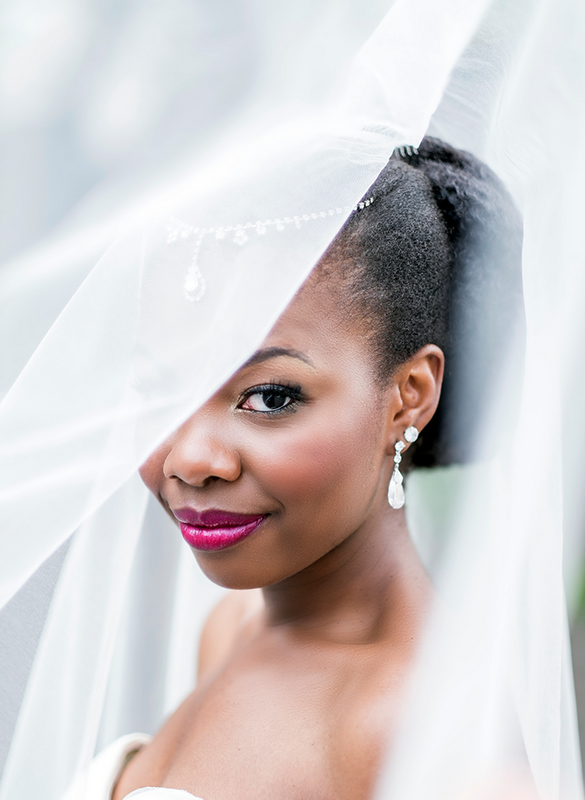 I love this lipstick so much, I insisted that it be the only colourful thing I wear on my wedding day. A year before my day, I didn’t know how I’d wear my hair or what shoes to strut in, but I knew that I wanted to walk down the aisle wearing this radiant pink. I planned it so well I made a point to not wear it the entire year leading up to my wedding so that my husband wouldn’t get too used to seeing me rock it. So, that’s my fave lippie! You’ve seen me rock it on my Instagram feed, my previous This Week’s Looks pics and my wedding day photos. I currently have about four tubes of it – yes, four – so I always have it in stock. I’m finding it harder and harder to find in Jozi so I’m hoping they’re not phasing it out. The best part about it? It doesn’t need a touch up. The. Whole. Day. Kiss, eat, sleep, your lips stay that beautiful and oh-so pretty pink. You can get the L’Oréal Infallible Le Rouge range from Clicks, Dischem and some Pick n Pays for about R130. Previous Post One. More. Day. 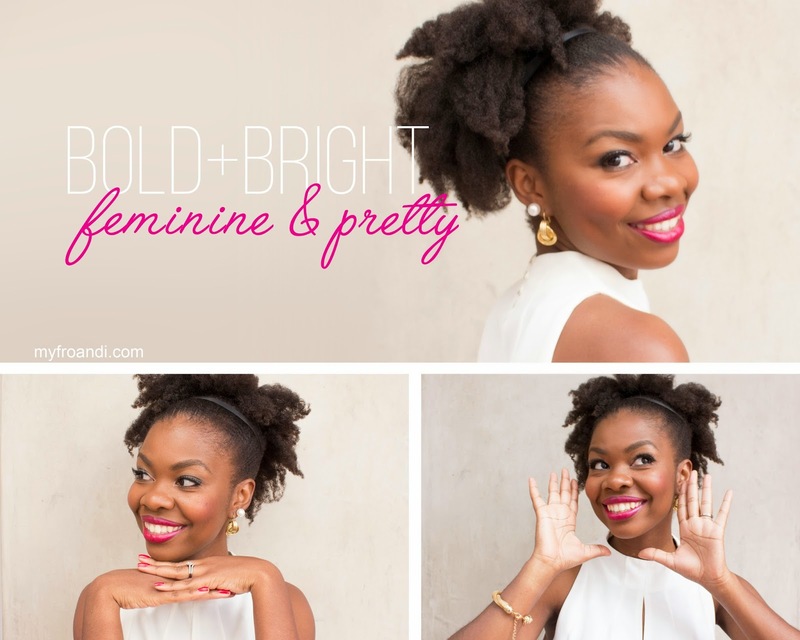 I know I told you in person at the Hair Indaba thing a few weeks back but I looove what you are doing with the beauty stuff on the blog. I was telling my friend about this very post and she loved the story too!! I have never purchased a lippie in my life but this post gives me all kinds of courage. I love how long lasting this one is too. I will be back to this very post to let you know how my first lippie goes! Aisha i'm so loving watching my hair grow healthily, even more so your hair gives me inspiration! Since i started using Shea butter on my hair, its produced phenomenal results. Hey ladies, if you're ever in need of some unrefined shea butter (great for your skin and hair), i am officially supplying those in need. Wow so excited. Can't wit to c how u achieve those fabulous brows. Was so looking forward to this. I think I could do with some beauty tips. 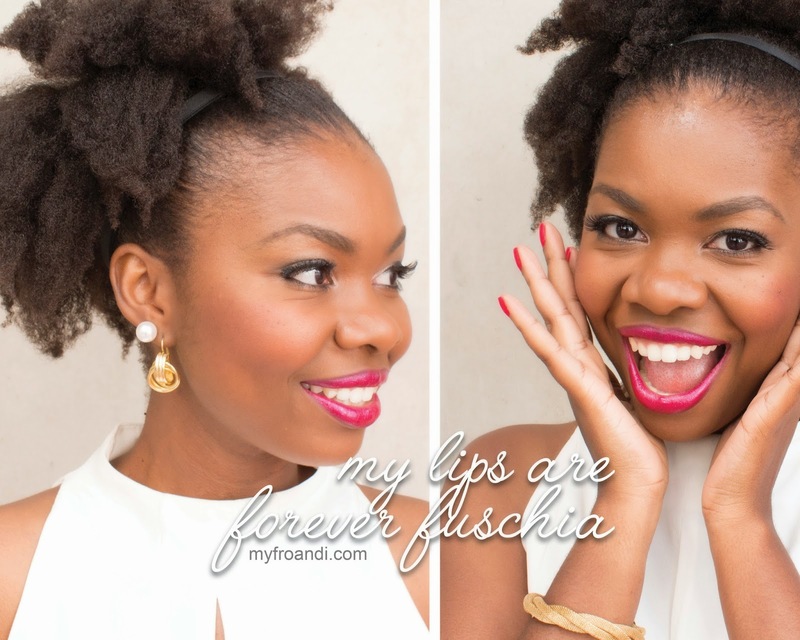 I am not a lip stick girl but…uhhhm I think I am going to try this one. By the way your fav lipstick looks great on you. I love the colour and the fact that you say "it doesn't need a touch up" will definitely give it a try soon. Awesome, I hope you love it as much as I do. Love it, looking forward to seeing makeup suggestions, especially foundations that work well on dark skin. Super excited about this segment. I constantly go through your instagram and DIE to know what color you're wearing. Yes, EVERY SINGLE ONE. No one wears a lipstick like you do, girl! Keep this up!